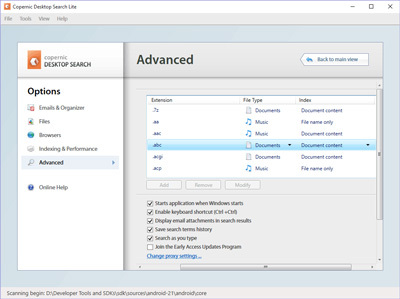 The best alternative (Copernic Desktop Search) to replace built-in search functionality in Windows is now free. Copernic offer free 1 year license key for Copernic Desktop Search V7. The giveaway full serial license key is collaboration with ComputerBild. Save $55.49 by downloading the full software on this promo. Copernic Desktop Search is standalone software that offer accurate information about all files on your PCs. The software create a keyword map and unlock unstructured data. Copernic Desktop Search is recommended for users to increase productivity. Download full edition Copernic Desktop Search V7. It the latest version. Get free one year active license for the software. Important note, make sure your total order is zero to get free 1 year license key on this offer. Download the latest version by visiting the promo page above. And click the “GET MY LICENSE” button. Process your shopping with total zero price. And fill up all requires info on the shopping process. You’ll receive 1 year license key after finishes the process. Download the latest version installer Copernic Desktop Search on its official page. If you miss the offer, check also offer with discount. With coupon code for Copernic Desktop Search get 30% off discount for all software versions.